Claude Arpi: The Happy People of Ngari? Ngari or Western Tibet has been in the Chinese news in recent weeks. It looks like a concerted effort from the Communist propaganda to promote the region bordering Ladakh, Himachal and Uttarakhand. And first of all 'promote' the happiness of the people in these borders areas. On May 18, Xinhua published an article about The Happy life of a senior in Ali Prefecture of Tibet. ‘Ali’ is ‘Ngari’ (as the Chinese have difficulties to pronounce the ‘Ng’, it becomes ‘A’). Karma stays there for the past 34 years, says the article. 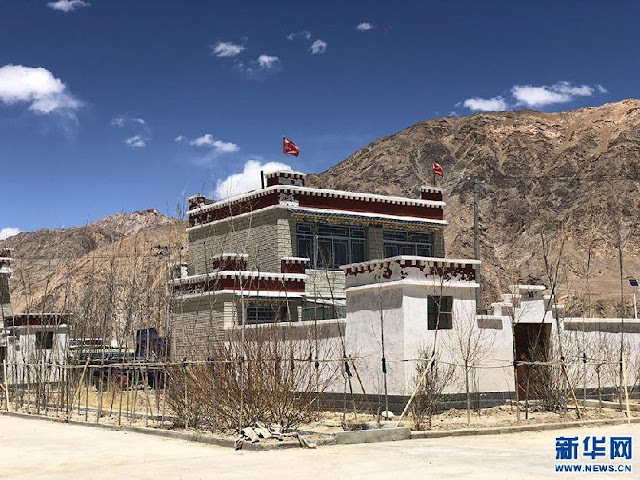 Interestingly, the village is located in Tashigang in Gar County of Ngari Prefecture, near the Indian border (on the other side is Demchok in Ladakh). The pattern of developing 'well-off border villages' seems the same as in Lhoka and Nyingchi Cities of Southern Tibet, (north of Arunachal Pradesh), whose fast-track development has been often been mentioned on this blog. 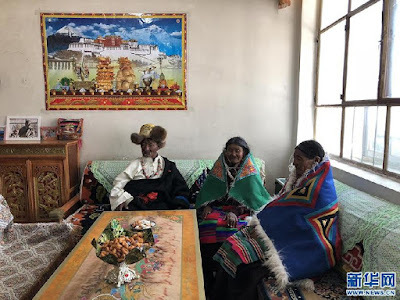 As reported earlier, Beijing wants the Tibetan populations living in the border areas to become: “the guardians of the sacred land and the builders of happy homes”. This seems to me a worrying trend for India, when one think at the post-Dalai Lama era (though India was never worried, having more important political and cricket issues to follow or bother about). A few households, like in Yume in a couple of years ago (or less), mushroom into a large township. Tashigang is the last village in Tibet; on the other side of the border is Demchok in Ladakh. One has to remember that whenever villagers in Demchok have undertaken small development work, like laying a water pipe, the Chinese PLA/Border Forces immediately stepped onto the Indian territory, to object to ‘development in a disputed area’. It is a blatant double standard! Demchok has always been in Ladakh and Tashigang in Tibet. To give these villages a ‘well-off’ status, China is building ‘model townships’, like it did in Tsona, Lepo, Marmang, Yume, or Metok in Southern Tibet. Karma told Xinhua: “The subsidies we receive each year exceed 20,000 yuan;” further, they enjoy full medical reimbursement. The village has three college graduates; one of them is Karma’s daughter. Even for the children, food, accommodation, and tuition fees are covered by the government. “A happier life awaits us in the future,” Karma concludes. Everybody seems to be happy in Tashigang. 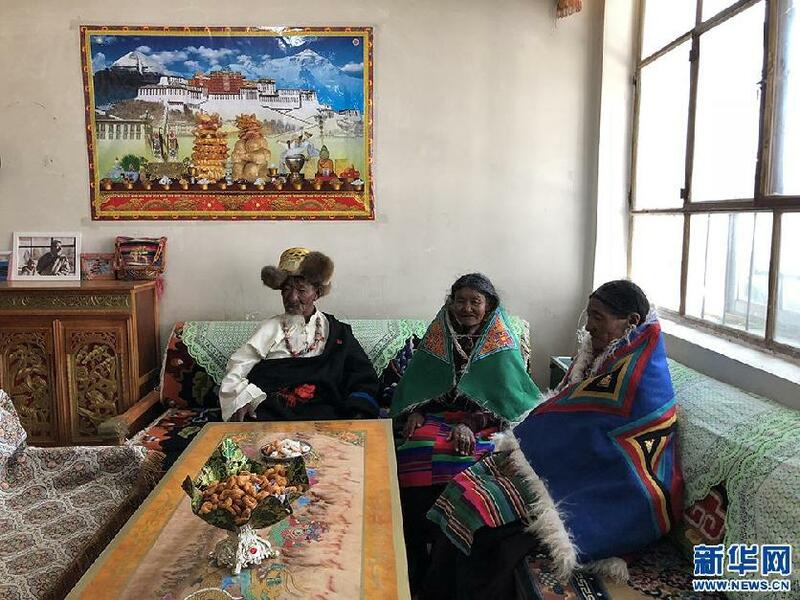 Xinhua in another article reported The Happy life of married couple in Ngari Prefecture of Tibet. 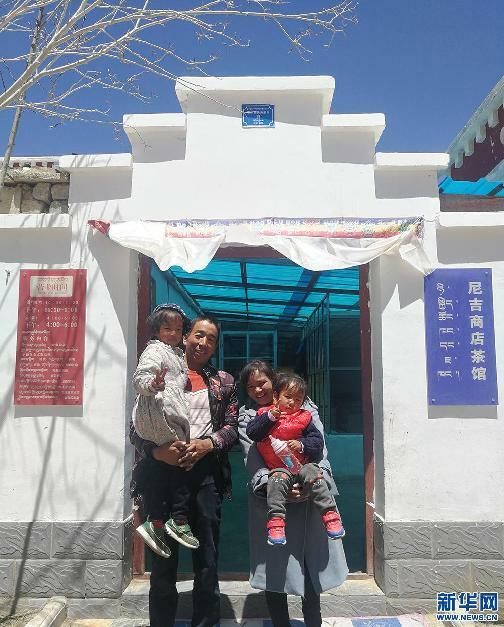 One Luo Qiming came from the Mainland (Qinghai province) to the village in 2010; he met his wife, a Tibetan Niji Lhamo; she was then running the village's only commodities store. At first, Luo thought of moving back to Qinghai with Lhamo, but “everything went on fine for the young couple,” the store does a good business, as it is supported by the local government. Let us move on the other side of the Ngari Prefecture. An article on the China Tibet Online website speaks of Happy life on yaks' back in Ngari. The website explains: “When one thinks of livestock carrying cargo, the first thought is often poverty, yet in Gangsha Village of Baga [?] Township, part of Pulan [Purang] County of Ngari Prefecture, people have used this way to overcome poverty and become prosperous. Purang is at the trijunction between India (Pithoragarh district of Uttarakhand), Nepal and Tibet). Also known as Taklakot, it is the first town in Tibet territory for the pilgrims on their way to the Kailash-Manasarovar (after crossing the Lipilekh pass or flying by helicopter from Nepal). In recent years, the ‘yak-transport service’ has greatly expanded its operation; the association has used part of its income, along with Chinese government subsidies, to open supermarkets, tea houses, and inns. 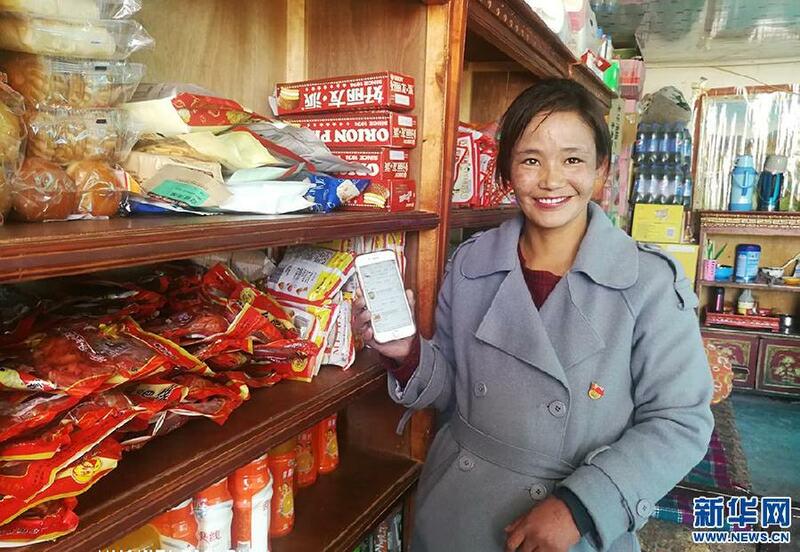 The village Party Secretary Dorje Pema: "We predict that we'd have more than three million yuan (0.47 million US dollars) in income this year in just those supermarkets, tea houses, and inns. We have also hired college grads, and we hope to take online orders in three years." While the number of Indian pilgrims trekking via Lipulekh La under the Ministry of External’s scheme remains small, pilgrims visiting Kailash Manasarovar through Nepalgunj and Simikot is increasing exponentially. Nepali tour operators admit that some 20,000 pilgrims have booked trips to the sacred mountain and lake as of mid-May this year. Last year, some 12,900 Indian pilgrims visited the holy place using the Nepalgunj-Simikot-Hilsa route in western Nepal. This makes the tour operators and the yak owners happy. In conclusion, everybody seems ‘happy’ in Ngari. In the meantime, for the people of Ladakh, who for decades have been asking to reopen the traditional route from Ladakh to the Kailash via Demchok, it remains a far-away dream. Beijing adamantly refuses and Delhi is not pushing to hard for it. Recently, the Himalayan Buddhist Cultural Association (HBCA) has urged the Prime Minister to fulfill the long pending demands of Ladakhi, particularly the inclusion of Bhoti language in 8th Scheduled of Indian Constitution and opening of Kailash-Manasarovar route from Leh to Demchok and Tashigang. HBCA President Tashi Targais observed during a press conference in Leh that the Kailash Mansarovar road is not only holy place for Buddhists but also for Hindus and Jain community and the route from Ladakh is the shortest route and its reopening would also boost the economy of Ladakh region. China is not ready to listen. If the people in Ngari are so happy, where is the risk for Beijing?